Whether you’re a youth club, dance troop, uniform group or play scheme, we can offer you a fun and exciting day in our Aquarium. Whoever you are, whatever your groups interest, we have a session for you. If not, work with us and we will make something new! Costs are based on a group size of 12 or more. A self guided visit to the Aquarium, your students will have access to the whole Aquarium and to the full programme of public shows, talks and feeds. If you have a special occasion or a particular session that you would like to run then let us know. 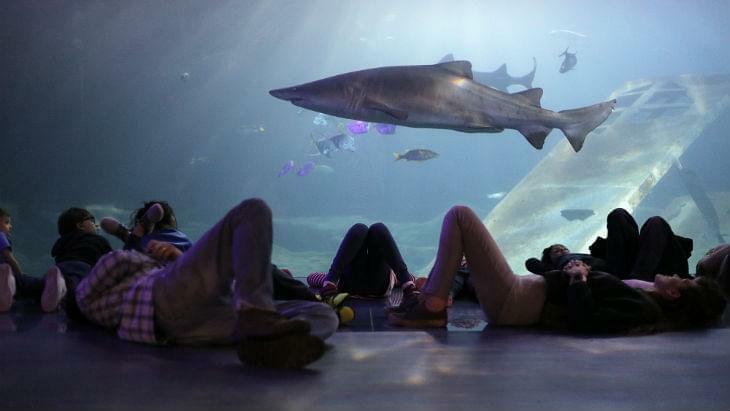 We can offer a wide range of bespoke sessions, whether it’s in the Aquarium or at an event of your choosing. Give us a call and we will come up with the perfect session to suit you. To help you to discover the wonders of the ocean as you travel around the Aquarium, we have some special activity sheets to supplement your experience and your learning. Download the activity sheets using the links below.